In preparing a guide to chef-owned restaurants in the area (Dining Out 2010 — look for it on stands tomorrow), we of course wanted to talk about Savory, the much ballyhooed former Blockbuster-turned-neighborhood-restaurant-and-lounge. 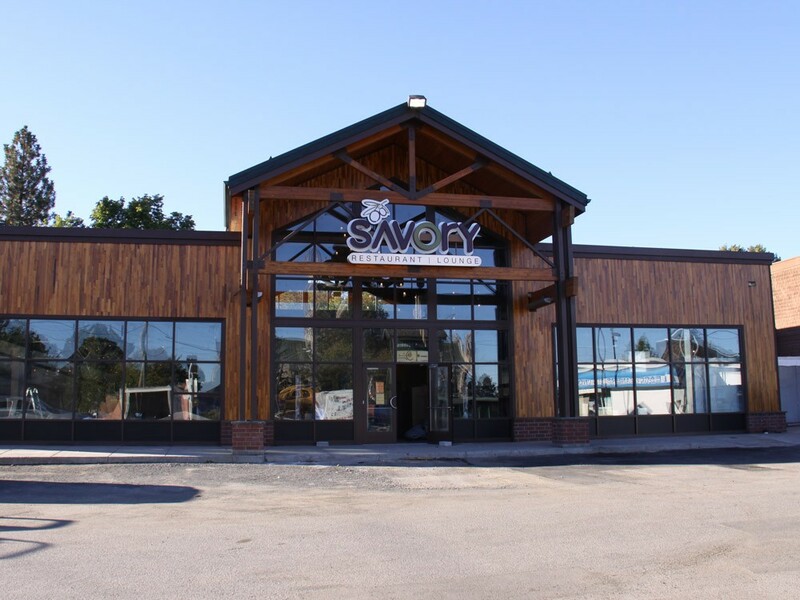 We found out, though, that as of last week, Savory is no longer chef-owned. Let’s back up. Chef Steven Hermann, who has been promoted in the restaurant’s extensive guerilla marketing as a bold young bringer-of-culinary-fire to the South Hill restaurant scene, was part of an ownership group who decided to turn the recently vacated space at 14th Avenue and Grand Boulevard and turn it into a chic neighborhood spot for Northwest cuisine. The interwebs have been thrumming with an almost naughty anticipation for months. Then, mere days from opening, we learned Hermann pulled a There Will Be Blood, abandoning his bistro. Indeed, according to Savory GM Scott Nelson, not only has Hermann left the building, he’s no longer even in the state, absconding to California in the middle of last week. So who is steering the SS Savory into the port of our palates (with a moorage date still planned for October)? Another young chef. In a conversation with the Inlander’s Young Kwak, Nelson pegged Daniel Gonzales — who we profiled briefly in Moveable Feasts, our cover story on clandestine supper clubs — as a kind of interim chef. He left open both the possibility that Gonzales could stick around or be replaced once the tumult of losing Hermann within weeks of Savory’s opening dies down. The 26-year-old Gonzalez is a firebrand with ambition to spare. He told me this spring that Spokane needs chefs like him. "There's not a lot of people who have the passion I have," he said. Now he'll have a chance to prove it. Hey, everybody! Let's fix Glee!